I love when a client brings me a clever cake idea, I love it more when it’s a friend! 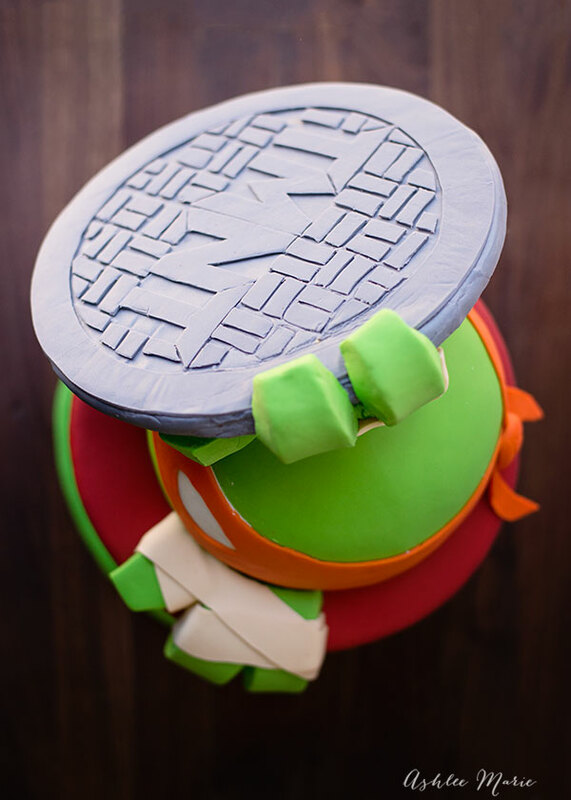 Lindsey from Frenchie Wraps hired me to make this cake for her son’s TMNT birthday party! 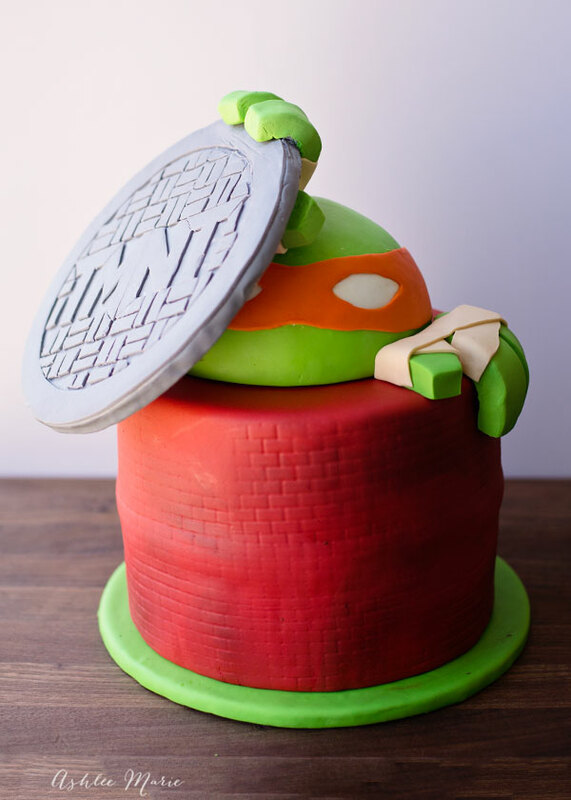 When I dropped off the cake I got to see some of the clever things she make for the party so hopefully she’ll have it up soon so you can enjoy it too! When she came to me the one thing she wanted for SURE was a manhole cover, so that’s where the most work and detail went for me. Next her son picked the Orange turtle, aka Michelangelo. So this is the second cake I made a video for. Actually videoS… I did the one video for the Gruff Cake and it was so hard to cut so much of it to create one video, so I decided to try a few short videos for this cake, to see what people liked better. 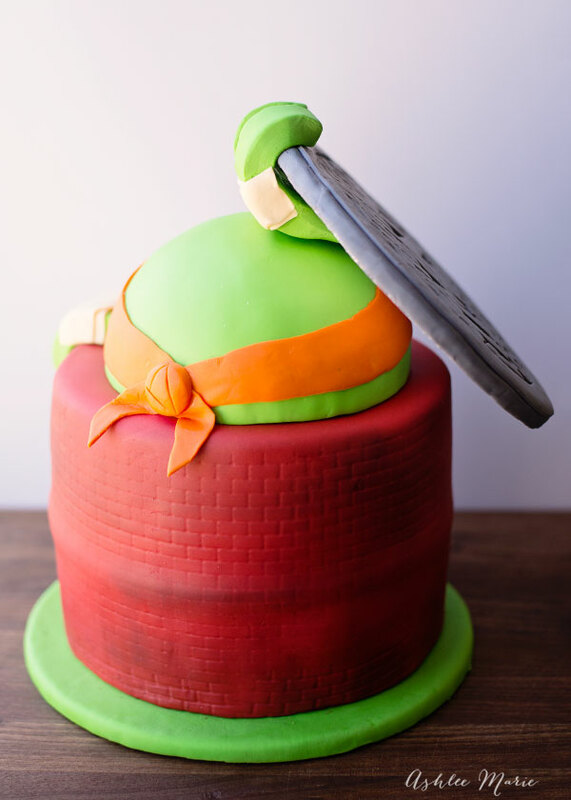 As of today the entire cake is now up! 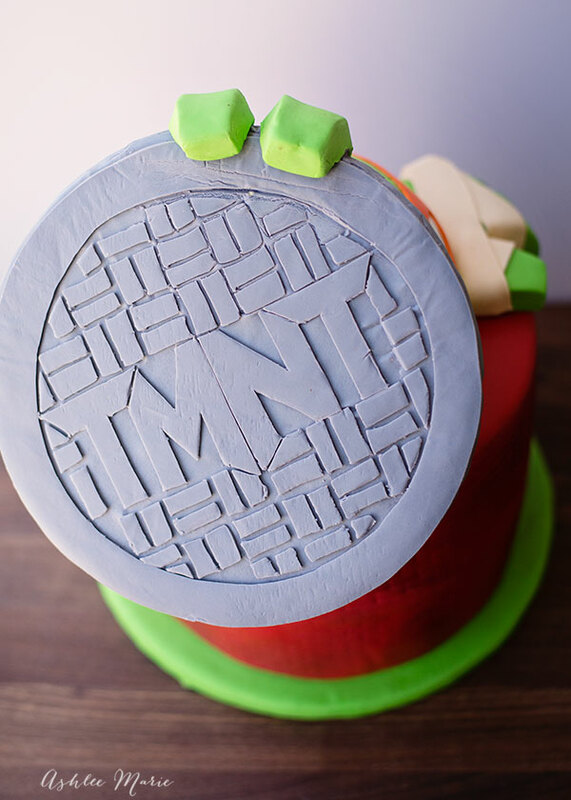 Part 3, the main cake, embossing and putting it all together! So what do you think? It’s not too hard, right? would you prefer one video, with some details cut? or Timelapse? or do you like getting more detail in smaller bites like this? I really want to know to create the best videos possible for you guys!